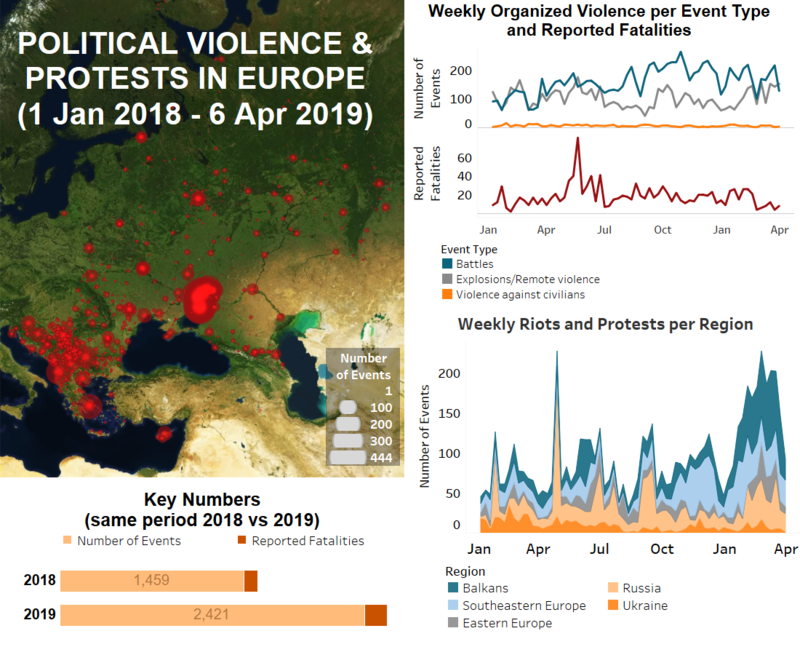 Last week, demonstration events in Europe continued to decline for the second week after numbers had risen sharply in early 2019. Violent attacks on civilians and the number of reported fatalities in Europe rose slightly last week, however, though remain below yearly averages. Conflict levels in the eastern Donbass region in Ukraine declined slightly last week after experiencing a drop and resurge in February and March. In the Balkans, Southeastern, and Eastern Europe regions, anti-government demonstrations declined significantly in Serbia and continued at low levels in Montenegro, Albania, Bulgaria, and Belarus. The vast majority of demonstrations in these areas were peaceful. Two protests in Belarus were disrupted by police with dozens of protesters arrested. Violence by demonstrators and intervention by police were reported in Bulgaria, Serbia, and Albania last week. 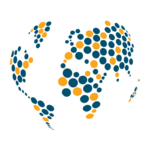 Demonstrations over infrastructural, environmental, and labour-related issues continued throughout the Balkans, Southeastern, and Eastern Europe at similar levels to previous weeks as well. Explosions/Remote violence and attacks against civilians in the Balkans, Southeastern, and Eastern Europe continued at low levels. LGBT persons were attacked on two occasions in Croatia and Bosnia and Herzegovina days after the announcement of the first Pride Parade in Bosnia and Herzegovina caused public controversy. In Montenegro, a member of the Democratic Party of Socialists of Montenegro (DPS) was beaten up by an organized group of men armed with batons. In Serbia, an improvised explosive device exploded at the site of a contested mini hydro-powerplant. In Greece, demonstration events and anarchist group activity declined last week. Rouvinakas held several peaceful protests in Athens. In Exarchia, Athens, an armed clash occurred when a group of 50 anarchists attacked a Hellenic Coast Guard team (The National Herald, 7 April 2019). Violence involving irregular migrants flared as large groups of people, including women and children, attempted to move from the Diavata refugee camp near Thessaloniki to the North Macedon border. For three days, occupants of the camp demonstrated and clashed with riot police after fake social media reports claimed that the travel ban was lifted and Germany is accepting refugees (The National Herald, 6 April 2019). In Russia, protest events, mainly against pension and waste management reforms, continued to decline last week. A large unauthorized protest against a landfill in Arkhangelsk was broken up by police forces (RFE/RL, April 7). The Communist Party of the Russian Federation (KPRF) continued its authorized protests throughout the country against pension reforms. Organized violence and reported fatalities, meanwhile, remain low. Two alleged Islamic State (IS) militants were killed during an armed clash with the police in Kabardino-Balkaria, in the Northern Caucasus. In Ukraine, fighting between Ukrainian government forces and separatist rebels in the Donbass region continued at levels slightly lower than the week prior, resulting in the reported deaths of three Ukrainian soldiers and one rebel fighter. On 31 March, the first round of presidential elections were held without major incidents. Over the last week, demonstration events dropped to the lowest levels since the summer of 2018. The number of events related to the use of explosives and hand grenades outside the conflict zone increased slightly. Explosions were reported in Zaporizhia, Kharkiv Region, Kiev, and Kiev Region, resulting in the reported deaths of two civilians and one attacker.